Skipton is a town in the Western District of Victoria, Australia. The town is situated on the Glenelg Highway 166 kilometres west of the state capital, Melbourne and 52 kilometres south west of the regional centre, Ballarat. 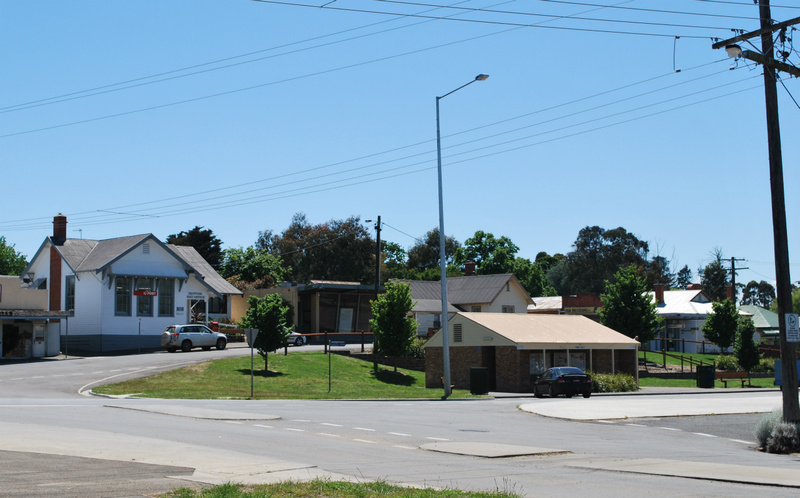 Skipton is on situated the banks of Mount Emu Creek and at the 2006 census had a population of 482. Skipton, Victoria is affectionally known as "The Home of the Platypus", due to the thriving platypus population living in the Mount Emu Creek. These shy little creatures may be seen at dawn and at dusk. Skipton was first established in 1839 as a pastoral run and a town site was surveyed in 1852. The town was settled some years later and the Post Office opened on 6 March 1858. In 2014, the people of Skipton celebrated the 175th Anniversary in grand style with events held throughout the year. The town held the first Agricultural Show in the Western District in 1859. During the mid-1990's, in conjunction with the long running popular annual Art & Craft Festivals, on a property just to the west of Skipton, very successful Sheep & Wool Expos were held featuring Shearing Competitions, Sheep Dog Trials, Fleece Competition and the very popular Skipton Ute Show attracting large crowds. Known as 'The Cream of the Western District' the main agricultural product of Skipton & District is Fine Wool, with farmers also running cattle and sheep for meat production. The district farmers are able to grow a wide range of crops. The bright yellow of the Canola crops are a real feature when flowering and successful wheat, oats, and other cereals make this a very important agricultural district. The Skipton-Ballarat rail trail allows cyclists to ride between Skipton and Ballarat, in safety away from the road traffic, enjoying recreational time to enjoy the great views with great stopping places along the route. Skipton Variety Market is held on the second Saturday of each month, with Stalls under cover at the Mechanics Hall in Anderson Street. Well worth a visit there is something for everyone in the well stocked stalls. New Stallholders welcomed. Skipton has a football team competing in the Central Highlands Football League. Skipton Golf & Bowls Club on Geelong Road, attracts Golfers from all areas. The picturesque golf course available to green fee players seven days a week. A Par 3 Course was introduced for those with limited time to play the shortened course, or for those wanting to perfect their shorter game. Cards at the Club. Main centre (Montgomery Street) with the original Post Office (1858) in the background. Cick HERE to listen to the actual call of the 1941 Melbourne Cup.